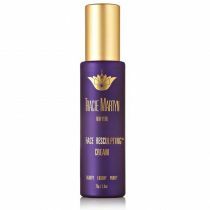 Tracie Martyn Shakti Resculpting Face & Body Cream is a luxurious slimming moisturizer. We are thrilled to introduce the first pure, all-natural and luxurious, lifting, firming, slimming, contouring and deeply moisturizing body cream on the market. Made with Organic Ingredients, Shakti Resculpting Face and Body Cream offers a multiple benefit of both moisturizing the skin as well as firming and slimming all in one safe and natural product. And unlike many companies who use the cheapest ingredients, mostly petrochemicals, we have created a product that uses only the highest quality ingredients, most of them used in facial care products, because we think the body is equally important as the face. Now you no longer need to compromise purity for results. Instant and long-term results. Slimming, Lifting Contouring: a complex of ingredients including organic green tea, natural aminoacids and enzymes transforms our own body fat into pure energy and speeds up the metabolism. Deeply moisturizing and hydrating: We have again merged science and nature using nano-technology to deliver natural black currant lipids deep into the skin for moisturization that far surpasses the effect of greasy mineral oil, allergenic nut oils and synthetic silicon formulas commonly used in body creams. 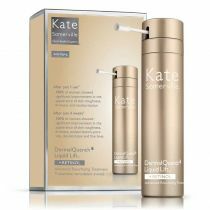 Smoothing the appearance of dimpled skin: slimming, cellulite-reducing enzymes, amino acids and organic green tea works with our metabolism to smooth and firm the body and eliminate a dimpled appearance. 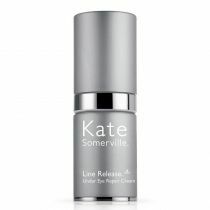 Enhancing sun protection through antioxidant action: Anti-oxidants are not a replacement for a sunblock. However, they work to protect skin cells on a cellular level from dangerous free radicals, including the ones formed during exposure to sun. In this way they are a second level of protection. 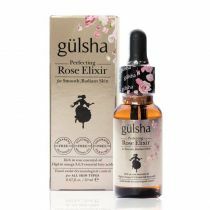 A beautiful aromatherapy experience: the irresistible sensory pleasure of exquisite Organic Bulgarian Rose essential oil. Shakti® Resculpting Face and Body Cream™ is unique: No silicones, ethoxylated materials, parabens or anything that does not belong IN and therefore ON the body. Shakti, a Sanskrit term, can be translated as "transformative energy". Shakti Resculpting Face and Body Cream is designed to energize and tone the areas resulting in firming and contouring the body. *Silicon Dioxide or Silica is a natural mineral as opposed to the man made silicones (polyvinyl chloride, polyethylene, polymethyl methacrylate and other acrylics, silicones, polyurethanes, etc.) that can be usually recognized by the ending in -methicone and -siloxane on the label.